Product prices and availability are accurate as of 2019-04-16 18:43:20 EDT and are subject to change. Any price and availability information displayed on http://www.amazon.com/ at the time of purchase will apply to the purchase of this product.
? 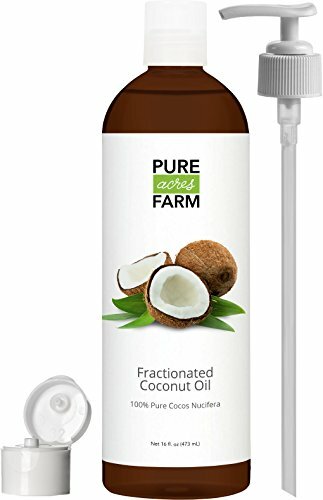 OUR 100% PURE & NATURAL COCONUT OIL IS THE BEST TO MIX WITH ESSENTIAL OILS because it ALWAYS STAYS A LIQUID, is ODORLESS and NEVER STAINS bed sheets or clothing. Since it stays a liquid, it is the top choice for mixing with Essential Oils and Aromatherapy for ROLL-ON, SPRAY or ROLLER BOTTLES. ? 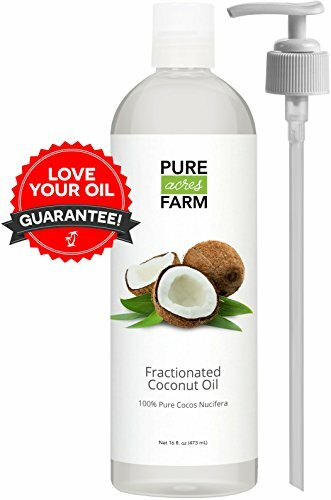 THE BEST OIL CHOICE you can make! Use as a SENSUAL MASSAGE OIL or as a NATURAL INTIMATE MOISTURIZER. 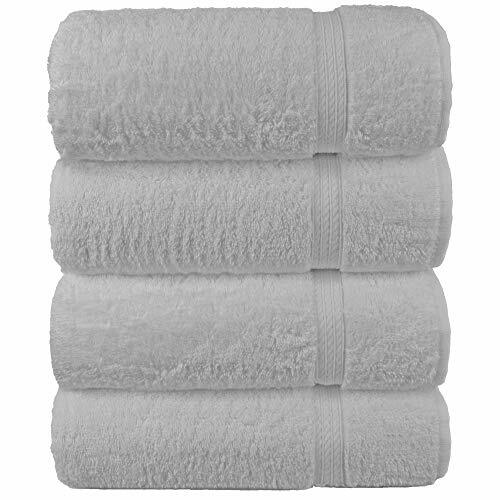 It's natural antioxidant and disinfectant properties make it perfect for a variety of uses. From HOMEMADE COSMETICS that will keep your skin young, to natural remedies that will keep you living well. Our oil never clogs your pores! ? UNCONDITIONAL LOVE YOUR OIL GUARANTEE! If for any reason you don't LOVE your bottle, we will send you FULL REFUND! Even if the bottle is empty! ? FREE E-BOOK INCLUDED - No matter how you plan on using your NEW BOTTLE of Fractionated Coconut Oil, you are sure to become a SATISFIED CUSTOMER. Just look at the THOUSANDS of 5 ? REVIEWS that are pouring in! As if that was not enough, We have included a SPECIAL BONUS E-BOOK full of RECIPES and USES to get you started on your ESSENTIAL OIL journey! ? EXTREME SHELF LIFE - Your Bottle of Fractionated Coconut Oil will last for YEARS before going rancid. Other carrier and base oils will not last nearly as long. OUR OIL OUTLASTS the following oils: Sweet Almond Oil, Jojoba Oil, Apricot Kernel Oil, Grape Seed Oil, Avocado Oil, Castor Oil and many others! It is perfect to mix with the following essential oils: Lavender, Peppermint, Eucalyptus, Lemon, Tea Tree, Frankincense, Chamomile, Oregano, Lemongrass, Citrus, Orange, Neroli, Rose, Rosemary, Vetiver, Ylang ylang, Grapefruit, Pine, Spearmint, Thieves, Bergamot, Helichrysum, Thyme, Clove, Marjoram, Myrrh, Geranium, Jasmine, Laurus Nobilis, Spikenard, Peace & Calming, Raven, RC, Sensation, Joy, Clarity, DiGize, En-R-Gee, Endoflex, Gentle Baby, Gratitude, ImmuPower, Lady Sclareol, Melrose, PanAway, PanAway, Release, Stress Away, White Angelica, AromaTouch, Balance, Breathe, Breathe, Clear Skin Topical, Deep Blue, DigestZen, Elevation, Immortelle, On Guard, PastTense, Purify, Serenity, Slim & Sassy, TerraShield, Whisper, ClaryCalm, Zendocrine, InTune.